The attention that When Saints Go Machine, Ginger Ninja and Kiss Kiss Kiss experienced in relation to the SPOT On Denmark night in Vienna (4 feb @ B72) is simply overwhelming – and we’re talking Austrian radio, TV as well as printed media. At the 2009 SPOT Festival an Austrian delegation of music business and media people were asked to pick three Danish acts that they thought would appeal to the Austrians. It definitely seems like the delegation know their home audience. There is a tremendous buzz around not just When Saints Go Machine, Ginger Ninja and Kiss Kiss Kiss but also the SPOT On Denmark event at theB72 club on 4th February and Danish culture in general! All three bands are in rotation – and will remain so at least until 4th February – on Austria’s only music TV station GOTV (400,000 viewers each week) with “Broken Hearts” (Kiss Kiss Kiss), “Fail Forever” (When Saints Go Machine) and “Bone Will Break Metal” (Ginger Ninja). One or two airplays during the daytime + night rotation. 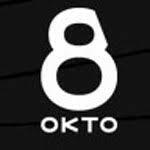 GOTV also shows 10 promo spots for the SPOT On Denmark event each day – and they are doing this of their own free will, mind you. You can’t buy slots on the playlist or bribe your way into the station’s programs. The channel OKTO TV also recorded the shows. When Saints Go Machine have been interviewed on FM4, and the band’s album was presented on the 1st of February. 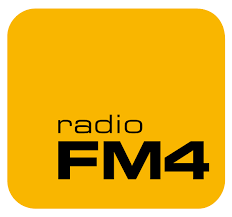 On the 3rd of February the band was moreover back on FM4 performing the track “Fail Forever” quite exclusively for the FM4 listeners in prime time (17:30). You can listen to the sessions on our myspace site’s music player. Furthermore, their track “Head over Heartbeat” has been playlisted. FM4 is also going to host an acoustic session with at least one of the Danish acts – perhaps even all three – on 3rd February. TBA (major music magazine in Austria – circulation: 60,000, 25,000 of these in Southern Germany) devote four pages of the February issue to Danish music and culture – including the SPOT On Denmark night. Furthermore, Ginger Ninja’s “Sunshine” and Kiss Kiss Kiss’s “Broken Heart” have both made it to the Austrian Indie Chart, as number 18 and 19 respectively in week 4 2010. In week 5 Ginger Ninja moreover climbed to 13th spot, with Kiss Kiss Kiss staying in the top 30 at 28th spot and When Saints Go Machine entering the charts with “Fail Forever” at 21st place. The chart is compiled by 50 Austrian DJs who each week select their top 30 (http://www.indiecharts.at/charts.php). The chart is aired on aforementioned GOTV on Thursdays and Saturdays. Moreover Kiss Kiss Kiss and When Saints Go Machine will be performing and joining bands like Editors and Akron Family on the brilliant Vienna-based online media “They Shoot Music” who video record exclusive band performance at strange spots in Vienna. As if this wasn’t enough Austrian students now know all about Danish music as Uniscreen, which are monitors, which feature music videos, that are installed in 22 Austrian universities put both Kiss Kiss Kiss and When Saints Go Machine in rotation, during the weeks leading up to SPOT ON DENMARK in Austria. After SPOT ON DENMARK in Vienna the 3 bands will be heading to Salzburg to headline the 3 year anniversary night of the amazing Yeah! Club at Rockhouse. So if you’re in Salzburg on Friday the 5th of February this is the place to be! The local press in Salzburg has also shown great interest for the bands with previews between 3 and 5 February in: Krone Zeitung, Salzburger Nachrichten, Salzburger fenster zeitung, Bezirksblatt as well as a Radio Rockhouse interview with all 3 bands on 5 February.